What Does Your Office Say to Guests? First impressions are crucial in business. Everyone understands this, but many forget to apply it in their offices. From the moment a client or visitor enters the reception area, they are already making snap judgements about your business. Is the message they receive good or bad? Just as you invest in making yourself look professional and reliable, you should also do the same for your office. 1. Style – The look and feel of your office speaks volumes about the company. Does it show creativity, innovation, and professionalism? Or does the entire area look dated, worn down, and hopelessly tacky? Looks might not be everything, but a poor sense of style definitely won’t impress anyone. 2. Collaboration – One of our priorities is to always design an interior that makes collaboration between workers easier. When employees work closely together, it reassures clients that you can get things done. Perhaps even more importantly, they know that a naturally collaborative company will work with them to produce the best possible results. 3. Efficiency – Similar to the above, an efficient and practical office design tells the client that you take the job seriously, and want to accomplish it without any fuss or delays. Not only do you improve productivity, you also bolster the guest’s confidence in your business. 4. Cleanliness and orderliness – This is fairly self-explanatory, but it’s surprisingly easy for many businesses to slack off on keeping things clean. Your employees might be used to the mess, but new clients certainly won’t be. 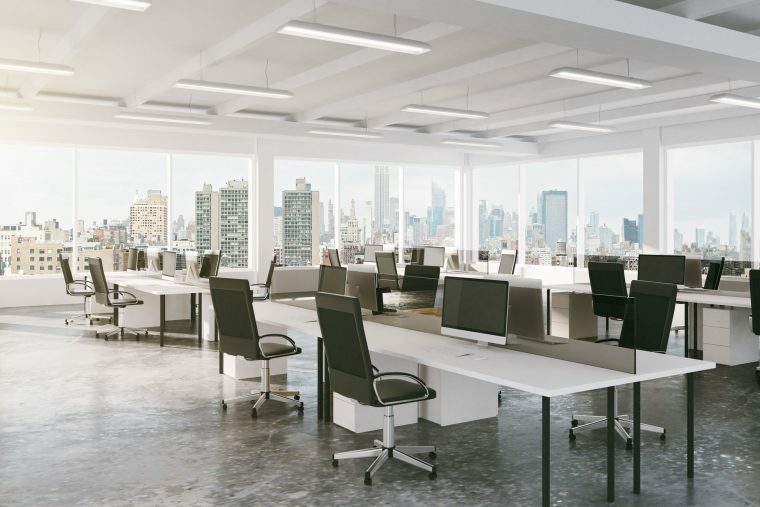 Apart from making everything spotless, it is also important to minimise distractions, noise, and other hindrances to effective work – which smart office design helps with. The Caretakers has the expertise necessary to ensure that your guests will always get the right first impression. Regardless of industry, we will work closely with you to design an interior that accurately reflects the strengths of your company. Give us a call today, and our team will gladly answer your questions.